We have locations in Chesterfield, Henrico, and Newport News. Choosing the right tile can be difficult, but if you happen to be in the Richmond, VA area our tile experts can help you make the right choice. 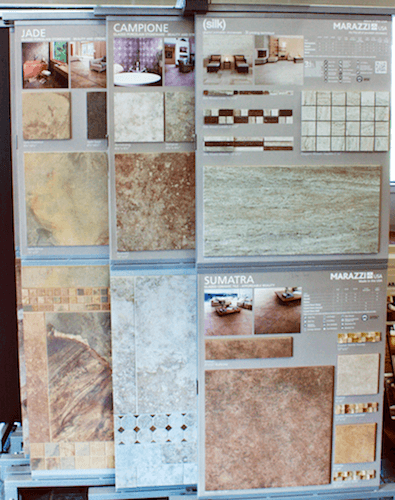 Richmond Decorating Center is your one stop shop for all of your tile needs! Between ceramic, porcelain and stone or even metal and glass, the experts at Richmond Decorating Center will pair you with the perfect tile match for you! 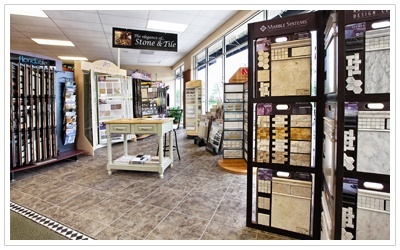 Richmond Decorating Center offers one of the best selections of tile in Richmond, VA! We also offer a variety stone options for you to choose from. Tile comes in a wide variety of forms. It is an extremely versatile option and adds a breathtaking look to any room in which it is displayed. Remember, cramic tile is not just for the floor! Tile can be used for walls, back splashes and even counter tops. There is an endless array of tile options for you to choose from! Between ceramic, porcelain and stone or even metal and glass, the experts at Richmond Decorating Center will pair you with the perfect tile match for you! From tiny mosaics to tiles larger than 20 inches, Richmond Decorating Center is your one stop shop for all of your tile needs! At Richmond Decorating Center you will find more than just traditional square tiles, we offer rectangles, diamonds and even ovals! Beyond geometric shapes, we also can match you with the perfect textures to achieve your design goals – we have smooth, nubby and textured designs and finishes to die for! Such as– matte, semi and high gloss! You can easily find the right look at Richmond Decorating Center, where our experts will show you why we provide the best tile options in Richmond, VA. Our expertly trained staff will match you with the perfect solution for all of your tile needs. Beyond the gorgeous look that tile provides, it also offers a level of practicality. As you may know, tile is an inert surface of fired clay, glass, stone or even a type of metal. By nature it is very easy to keep clean and also has an inherent ability to resist the growth of fungus, mold and mildew. Choosing the right tile can be difficult, but if you happen to be in the Richmond, VA area our tile experts can help you make the right choice. Every tile option for a floor, a countertop, a back splash and even a wall can require several dozen critical decisions. For example; Do you want? Do you prefer a beveled or a straight edge? What is your color preference? Do you prefer a pattern or bold graphics? The experts at Richmond Decorating Center can make the decision making process a breeze. Come visit our showroom and see why for tile in Richmond, VA there is simply no better choice than Richmond Decorating Center! We are a local flooring and window treatment dealer, specializing in the full line of Hunter Douglas window fashions, including roller shades, roman shades, cellular honeycomb shades, sheers and shadings, woven wood shades, vertical blinds, horizontal blinds, plantation shutters, and motorized window coverings. We also carry a wide selection of flooring options, including hardwood, natural stone, ceramic tile, carpet, laminate, and vinyl. We have two locations in Richmond and Glen Allen, Virginia and proudly serve Henrico, Manakin-Sabot, Midlothian, Mosley, and Chesterfield, VA.
© 2018 Richmond Decorating Center. | Website by Jonas Marketing.